Wiki is a well-known Web 2.0 content management platform. The recent advance of semantic wikis enriches the conventional wikis by allowing users to edit and query structured semantic annotations (e.g., categories and typed links) beyond plain wiki text. 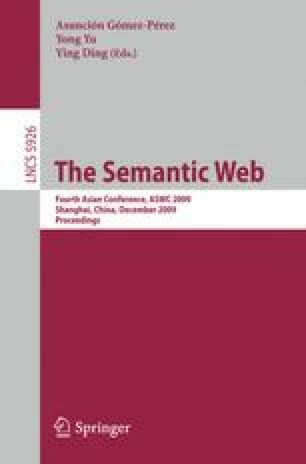 This new feature provided by semantic wikis, as shown in this paper, enables a novel, transparent, and light-weight social Web application model. This model let developers collectively build Web applications using semantic wikis, including for data modeling, data management, data processing and data presentation. The source scripts and data of such applications are transparent to Web users. Beyond a generic description for the Web application model, we show two proof-of-concept prototypes, namely RPI Map and CNL (Controlled Natural Language) Wiki, both of which are based on Semantic MediaWiki (SMW).